Tobias Alistair Patrick Kebbell (born 9 July 1982) is an English stage and film actor. He is known for his roles in films such as Dead Man's Shoes (2004), RocknRolla (2008), Prince of Persia: The Sands of Time (2010), War Horse (2011), Wrath of the Titans (2012), Dawn of the Planet of the Apes (2014), Fantastic Four (2015), Warcraft (2016), A Monster Calls (2016), Ben-Hur (2016), and Gold (2016). He is also known for his work in the Black Mirror episode "The Entire History of You". He most recently starred in the second film of the MonsterVerse film series, Kong: Skull Island, which was released in March 2017. Kebbell at the 2015 San Diego Comic-Con International promoting Fantastic Four. Kebbell, the fourth of five children, was born in South Elmsall, on the A638 between Doncaster and Wakefield, Yorkshire, but grew up in Nottinghamshire where he attended The Grove School (now the Newark Academy) in Balderton. He was brought up by his mother, Michelle (née Mathers), a cook and landscape gardener, after his parents divorced. His father, Robert Kebbell, is an engineer. He was raised Catholic, and went to a Catholic primary school. Kebbell trained in acting at the Central Junior Television Workshop in Nottingham along with Andrew Shim and Vicky McClure. first came to notice when director Shane Meadows cast him in the role of Anthony in the film Dead Man's Shoes. He was nominated for Most Promising Newcomer at the British Independent Film Awards and was widely lauded for his sensitive, moving portrayal of a young man with a learning difficulty. Kebbell then appeared in Oliver Stone's Alexander and Match Point, which Woody Allen cast him in without audition after being impressed with his performance in Dead Man's Shoes. Toby Kebbell, 15 July 2010. In 2011, Kebbell played a leading role in "The Entire History of You", the finale of the first season of Charlie Brooker's critically acclaimed anthology series Black Mirror, which was written by Jesse Armstrong. Robert Downey Jr. has since bought the rights to adapt the script for a forthcoming film. Kebbell played the Marvel antagonist, Doctor Doom, in the 2015 Fantastic Four film, and an orc, Durotan, in the 2016 Warcraft. He played Chapman in the fantasy action film Kong: Skull Island (2017), while also providing guidance for Kong's motion capture sequences. In 2009, Kebbell was linked to British entrepreneur Ruzwana Bashir after they met at a Christmas party given by journalist Andrew Neil. Kebbell has stated that he is not in a hurry to marry and wishes to be established and even own a home before settling down. He has since been reported to be single. ^ Marianne Macdonald (5 February 2009). "Toby Kebbell: the new boy". London Evening Standard. Retrieved 29 May 2014. ^ Limited, Bangkok Post Public Company. "Toby Kebbell, the reluctant star finally shining". Bangkokpost.com. Retrieved 7 April 2018. ^ "About: The Television Workshop". Thetelevisionworkshop.co.uk. Retrieved 7 April 2018. ^ "The Orange Rising Star Award 2009". BAFTAs. 11 February 2009. Retrieved 29 May 2014. ^ "Robert Downey Jr to make movie based on Charlie Brooker's 'Black Mirror'". Digital Spy. 11 February 2013. Retrieved 12 February 2013. ^ Steve 'Frosty' Weintraub (April 2014). "Toby Kebbell Talks about His Character Koba, The Physicality of His Performance, and More on the Set of DAWN OF THE PLANET OF THE APES". Collider. Retrieved 29 May 2014. ^ "Toby Kebbell to Play 'Fantastic Four' Villain Doctor Doom (EXCLUSIVE)". Variety . April 1, 2014. Retrieved April 1, 2014. 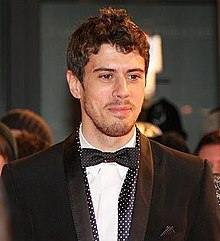 ^ a b "Is Toby Kebbell married? Who is he dating?". Hitberry. Retrieved 30 May 2018. ^ Wiseman, Andreas (2 May 2018). "'Vampire Diaries' Actress Penelope Mitchell, Jason Patric Join Toby Kebbell In Thriller 'Becoming'". Retrieved 30 May 2018. 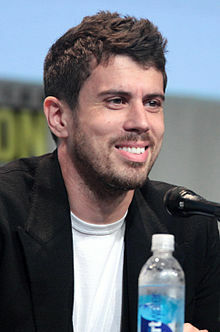 Wikimedia Commons has media related to Toby Kebbell.